Divine Love is unconditional. Love is God. God is Love. Love is the cohesive power of the Universe and the most powerful activity in the Cosmos. It is the Power that holds together every electron in every atom that comprises form, and it is the one that has furnished for man the Electronic Form of his Presence. Through its Power, the universe was created and held together and, should it ever decide: to withdraw it, collapse will be inevitable. Similarly, the Earth came into existence, and we owe to Love's Radiant Presence that the beings of the Elemental Kingdom were drawn here and are serving us. 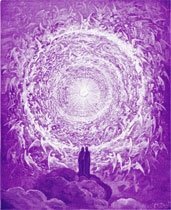 It was Love that brought Sanat Kumara to Earth, kept the Angelic Host in the Earth's atmosphere and prompted Archangel Michael to Serve so Valiantly in freeing those calling for Freedom from limiting astral and psychic human miscreations. Love created every Blessing we enjoy, and we owe to Love all that we are or ever expect to be. Love is a Divine Activity and its Cosmic Fount is the Heart of God. It is released to the Universe in mighty streams of Joyful, Supernal Energy; feeds, in its passing, every created form, and manifests itself as the crowning radiant Presence of the THE ONE to all in existence. As a Divine Manifestation, it is the Apex toward which all roads lead; the motivating and sustaining Power under which God's other Divine Principles, to be externalized by man, must seek strength and competence. With Pure Love as a guiding beacon, man's path to God's Estate is cleared and sure of attainment. Love, for man, is the Ultimate! As a Divine Principle, to be externalized by man, it must be built on the cohesive power of other God's cognate virtues, and like an edifice which needs a concrete base upon which to rest securely, Pure Love must have, as its binding element, Harmlessness, which, when properly manifested and truly carried out, is the destroyer of all limitations. Limitations find their source in man's selfishness, and selfishness is the ever potent power that leads man to a left hand downward spiral activity and prevents him from attaining Pure Love. The individual that aspires to become the carrier of Pure Love, must no longer mirror himself as a separate entity, selfishly egocentric, but as a cooperative unit working for the good of the greater whole. Being about his Father's business, he consciously lives as a lover of God in all of life. Having been so directed and oriented as to see all forms as God's creations and the externalization of the One Infinite Presence. Through clarity of vision, the invisible cause that produces the conditions noted in the outer world is clearly apparent to him and prompted by the Inner Self, hastens to give succor where such is needed. Thus he becomes his "brother's keeper", and since motive springs from the Heart of God, sentiment and expediency find no place in his sphere of action. Like the bee that is attracted to the nectar of the flower, so is he to God's other virtues and defects that formerly held him in thralldom, are now, in successive order, consciously remedied and eliminated. Reticence of speech; impulsive and precipitous action is checked and restrained and a non-critical attitude to the shortcomings of his fellow men is developed. 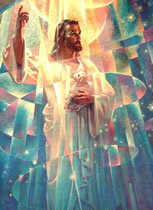 Thus he becomes polarized with the Will of God and prepares himself to be a distributor Pure Love to all mankind. Where there is authentic knowledge pertaining to the Wisdom of the Law of Life, as well as loving service to God in all life, then one truly can say that the individual is on his way to attaining Pure Love. In such a case, the heart and the head are working in unison, while the throat center, already being activated, becomes creative. So an Illumined man stands apart from his fellow men and, in reality, is "God loving His Universe into Perfection." Pure Love, having its Source in God, finds anchor in the Heart of man and thus becomes an embodied attribute, depending, however, upon the individual's attainment for Its expansion or stagnation. As a fundamental Principle, Its basic virtues appeal at once to the intuition and calls out an immediate reaction of assent from the individual's Higher Self. Its appeal to the undeveloped personality is minor and, often non-existent; but as a man advances in the ladder of attainment and comes closer to his own "I AM" Presence, he responds joyously to the opportunity to be a Sun Presence of Love! From the man in whose being Love has been developed, there is always a conscious radiation of peace and good will that steadily goes forth from his aura. It is felt, practically by any one that comes in contact with him, but most particularly by sensitive individuals. In that man the Flame of Love has been so expanded as to become not only a radiance of good, but, also, a pulsation of repellant power to anything that is not of God. In that man, God has truly Individualized Himself so that through him the Love Principle may flow and an added God focus may be established on Earth. Pure Love, like any other God's virtue, to be acquired, in addition to fundamental harmlessness, similar cognate qualities should be magnetized from the Eternal Source, through invocation, and the starting point should be the inside of man's heart, clad in humility and gratitude for the privilege and opportunity to externalize it and dispense it to others. When, as time goes on, and man's service has been proven, and all requirements fulfilled then, the same man should he aspire to become a total dispenser of Love, in the world of form, through invocation again ask the Father-Mother God to allow him to unite his being with "the Infinite and melting Consciousness of One into nothingness" and become a Lord of Love. Needless to say, when such a stage is reached, and the privilege is granted, man is no longer an ordinary being but is treading the path of the Higher Initiates. Reversing the coin, and looking at it from the other side, there are individuals among us, and in life generally, who have been so long "absent from the Lord", that they do not have the means within themselves to understand that which they have missed. "If any find that he cannot summon Love for his brethren, or compassion for the world and its problems', says Saint Germain, "let hire reckon then, that this indexes a state of dryness within himself, which needs to be infused with Eternal Love, by a mighty invocation." Continuing, but with a more tender heart, indigenous and innate in the nature of the Goddess of Love, Beloved Nada says: "Some individuals seem to find it hard to love impersonally. If that is your feeling then invite One of Us Who are the full-gathered Cosmic Momentum of that love, to direct into the Flame in your heart and let Us Love through you and Love that Life free." Love, being the Third Aspect of Divinity, after Wisdom and Power, is the Great magnet that draws for the Power of God's Heart, charged with His Holy Wisdom. In the Three-fold Flame of God, Power comes first; but its evocation, even from those belonging to the First Ray, Power to be drawn must be invoked through the magnet and Power of Love. Thus Love precedes even "Power", and as a Divine Principle stands pre-eminent and is the uppermost jewel in God's Holy Diadem. Love then, being the essence of the very inner Being of God, it is the Holy Spirit in action, that flows forth God thoughts in winged flashes of Light to all those who impersonally give freely of their being, for the uplifting of their fellow- men. These are the' ones "born of the Spirit", to whom Love, as a Divine Principle to be dispensed, is a sacred trust granted to there by God to be given to all who can accept it, freely and in God's I Holy Name. At this point, let it be remembered that the Love of man for man is not as much as the Love of God for man! The Love of the Father-Mother God is the constant radiating power that has given us spirit, mind and form and cannot be compared even remotely with man's Love, developed though it may be. Though man cannot reach the awesome power of Pure Divine Love and the "creativity of the Eternal that floods into manifestation in myriad forms of wondrous designs", in both man and nature, nevertheless, he can reach heights in the Spirit of Love as to be truly "born of the Spirit". Individuals like Saint Francis of Assisi can and have entered the realms of Pure Love in Nature, and by radiating Their Love, to feel the beat of the heart of the four-footed Kingdom and the birds of the air, and to feel their struggles and their pains. Similarly, we see beings like Dr. Carver, Booker Washington and Luther Burbank become one with Nature. The Master Jesus and Lord Gautama Buddha, by radiating Their Love, became one with man. This understanding of all of life through Love, however, as the Maha Chohan so aptly remarks, "is not identification with misery, but it is the capacity to feel that within any part of Life which causes certain action, and understanding the cause; then they can heal". 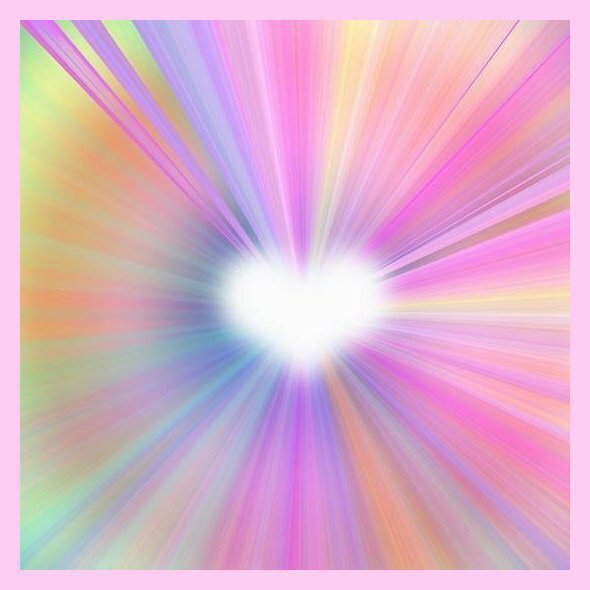 In present day society, though chaos and disorder are rampant, nevertheless, there are among us some very highly evolved individuals whose hearts have been impregnated by pure Divine Love and who pour forth pure white radiance in steady streams for the benefit of the world. In numbers, they are not legion, and their names furnish no material for newspaper headlines. Like hidden jewels, in a dark place, are shining unnoticed to the passer-by and, often, even if seen, they are not recognized. But in their silent, quiet way, through the purity of their heart, the love they have for their fellow men and the desire they have to brighten every aspect of Planetary Life, have vastly contributed to the uplifting of men and the ushering in of the New Age into the Earth. Their silent unobtrusive way, and the steady flowing, from their hearts pure, unselfish Love, has helped to awaken many who, either from ignorance or indifference have failed to cognize the higher values of life and the necessity of knowing that Divine Love is the cohesive Power that moves the Cosmos and our Earth, and it is to that Power that roan must turn his eyes, if he is ever to find peace and happiness in life. Answered. "The names of those who love the Lord." Write me as one that loves his fellow-man." And, lo! Ben Adhems's name led all the rest!